PHILADELPHIA — A Pennsylvania judge on Friday granted a stay of execution and a new sentencing hearing to a convicted murderer who was scheduled to die by lethal injection on Wednesday. 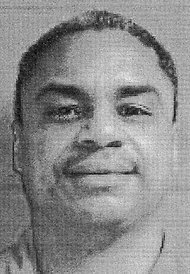 The scheduled execution of the prisoner, Terrance Williams, 46, had prompted pleas for clemency from thousands of people who argued that he should be spared because he had been sexually abused by the man he killed. On Friday, Judge M. Teresa Sarmina of the Philadelphia Court of Common Pleas ruled that Mr. Williams should be spared, saying prosecutors had withheld evidence from the defense showing that Mr. Williams’s victim, Amos Norwood, whom he beat to death in 1984, had homosexual relationships with minors, including Mr. Williams. Such evidence, the judge ruled, could have led the jury at Mr. Williams’s 1986 trial to vote for a penalty other than death. Defense lawyers contended that newly discovered evidence of Mr. Norwood’s sexual orientation supported their claim that Mr. Williams, who was 18 at the time, killed him because Mr. Norwood, who was 56, had abused him from the age of 13, and not because of a robbery, as prosecutors argued at the trial. The new evidence — which was given to defense lawyers for the first time last weekend after 28 years in police files — was sufficient to demand a stay and a new sentencing but not a new trial, the judge said. “This court is granting a stay of execution and this court is granting a new penalty phase,” the judge said at the conclusion of her 45-minute statement from the bench. Unless the State Supreme Court overturns Judge Sarmina’s stay of execution before Wednesday, Mr. Williams will not be put to death that day, said Ronald Eisenberg, an assistant district attorney. If the execution is carried out, it would be Pennsylvania’s first in 13 years, and the first since 1962 of an inmate who did not choose to die. The Philadelphia district attorney, R. Seth Williams, said he would immediately appeal the ruling to the State Supreme Court. He attacked the decision as unjust, and accused Judge Sarmina of overlooking the fact that Mr. Williams had never testified that he was abused. The district attorney ridiculed the judge’s statement that prosecutors suppressed evidenceabout Mr. Norwood’s sexual activities. “How in the world could the prosecutor have ‘suppressed’ information that was in the defendant’s own head?” Mr. Williams asked at a news conference. Shawn Nolan, a lawyer for Terrance Williams, expressed confidence the State Supreme Court would uphold Judge Sarmina’s ruling. “We do not believe that the court will tolerate the prosecutor’s actions in this case, especially when life or death are at issue,” Mr. Nolan said in a statement. thanks for sharing this. I like the agenda of this blog. It’s definitely needed in this world. thank you again.